Drive Ahead! is a gladiator car fight. Wreck your friends by knocking their helmets with a variety of cars from monster trucks to alien saucers! Hundreds of cars and levels bring endless hours of helmet-crashing action and freak accidents!You can play Drive Ahead! in four game modes. 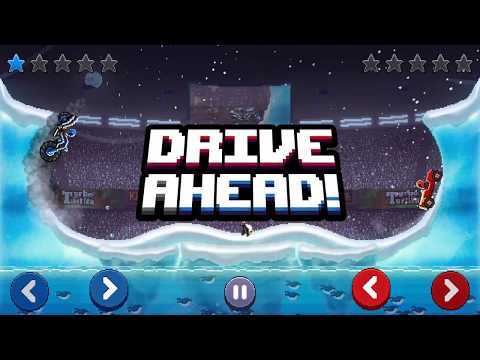 Battle your fri... Lihat lebih banyak Drive Ahead! is a gladiator car fight. Wreck your friends by knocking their helmets with a variety of cars from monster trucks to alien saucers! Hundreds of cars and levels bring endless hours of helmet-crashing action and freak accidents!